The leader of New Horizons Therapeutic Services, a drug and alcohol addiction rehab center in Montgomery County, has multiple arrests on his record, some just within the last year. News Center 7’s Molly Koweek digs deeper into this case and why investigators did not charge him with operating a vehicle while intoxicated. Two police reports from Trotwood and Dayton incidents tell similar stories. Police say Terry Hill Jr., the executive director of New Horizons, was caught intoxicated while in control of a car. Not once, but twice in the past year. When Koweek went to the facility on North Main Street to speak with Hill, he shut the door. Hill later spoke over the phone, and admitted to a July arrest, saying he’d had a few drinks and was tired so he pulled over to sleep but says he wasn’t drunk. The vehicle wasn’t running, but the keys were in the ignition. The officer said when they asked Hill why he was parked there, “he answered that he was going to his hotel here” and pointed at a nearby nursing home. The officer said Hill tried to hand over his debit card instead of his driver’s license. And, the report showed he failed two of three sobriety tests. He was arrested for being in physical control of a motor vehicle while intoxicated, and later was found guilty. Hill’s run-in with the law just six months later has a similar narrative. It shows University of Dayton police officers found him sleeping in his car in a parking lot, and this time the car was running. And, police said he smelled of alcohol, slurred his speech and had glassy eyes. He was arrested for OVI and later found guilty of a lesser charge of having phyisical control while intoxicated. A mother has admitted to trying to pick up her daughter from school while intoxicated, just hours after her license was suspended for a separate drink driving offence. School teachers called police when an intoxicated Caroline Ashthore Throwden arrived at her six-year-old daughter’s school in Salamander Bay, in NSW’s Hunter region, on March 11. Her two-year-old son was with her at the time, and officers who arrived on the scene noted she was swaying and slurring her words. The 30-year-old was taken to Nelson Bay police station, where she blew 0.252 – five times over the legal limit. 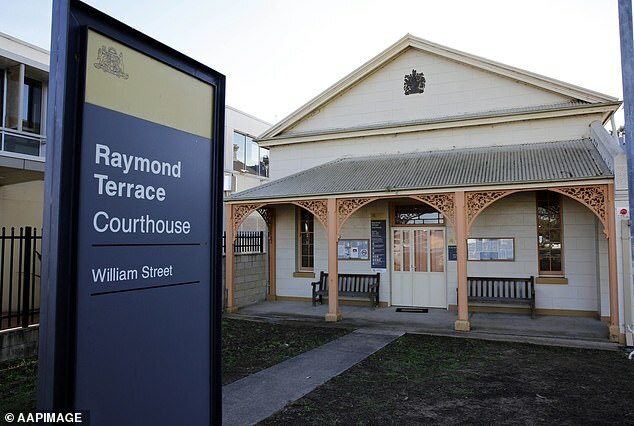 Just three hours earlier, the 30-year-old was disqualified from getting behind the wheel for three months and placed on a 12-month good behaviour bond for a second drink driving incident. 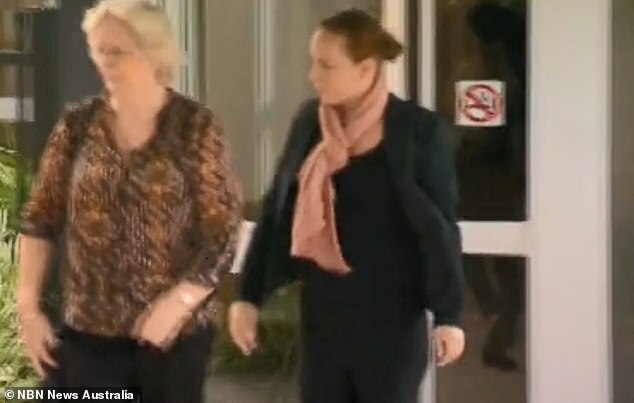 On Monday, Throwden pleaded guilty to high range drink driving in Raymond Terrace Local Court, where her previous drink driving conviction was revealed. Police are now hoping to also charge her for driving while disqualified. Because her conviction was so new, police were unaware she was not allowed to be driving during her second arrest and she made no mention of it to officers. She did admit to driving to the school, but swore she was intending on walking home with her children. Police said: ‘she smelt strongly of alcohol, was a little unsteady on her feet, the whites of her eyes were dark and appeared bloodshot and her speech was slurred’. ANN ARBOR, MI – An Ann Arbor city councilman is serving a year of probation for drunken driving. Zachary Ackerman, D-3rd Ward, was sentenced in February for driving under the influence in Novi, northeast of Ann Arbor, court records show. Now, he’s apologizing for the incident, calling it the wake-up he needed to be diagnosed with severe alcohol dependency and seek treatment. Ackerman, 25, of Ann Arbor, was arrested about 5:35 p.m. Jan. 2, after police responded to a report of a two-vehicle crash, said Novi police Detective Sgt. Kevin Gilmore. The councilman was driving south on Beck Road, north of 10 Mile Road when he rear-ended another vehicle, Gilmore said. No one was injured, but Ackerman appeared under the influence, Gilmore said. Ackerman submitted to field sobriety tests but refused a breathalyzer at the scene, Gilmore said. At the jail, testing showed Ackerman had a blood-alcohol level of 0.2 percent – more than twice the legal limit for driving in Michigan – Gilmore said. He was held until about 5 a.m. the next day, Gilmore said. Ackerman was originally charged under the state’s so-called “super drunk” law, court records show. The law allows for heftier penalties for those who test at 0.17 or above. However, Ackerman pleaded no contest before the end of January to a misdemeanor charge of operating while ability impaired, court records show. He was sentenced on Feb. 20 to a year of probation and five days of community service, court records show. Ackerman began drinking in college, where he said there was a cultural emphasis on binge drinking, he said, and that carried over into his professional life after graduation. The arrest was, in fact, a blessing, he said, noting the last three months have been the happiest and healthiest of his life. Ackerman said he doesn’t plan to resign and doesn’t believe that the outcome of an addiction should lead to being removed from council. He remains excited to do important work in the community, he said. As to not alerting his constituents or fellow council members sooner, he believed the incident should be dealt with as a health issue, not a moral issue, he said. “I also understand there was a public safety element because of the fact that I got behind the wheel and for that I am sorry, but, again, I’m trying to focus on what good can come of that night and not the night itself,” Ackerman said. He said he hopes those with concerns about possible substance use disorder can feel comfortable coming to him to talk, and pointed to recovery options at Michigan Medicine, St. Joseph Mercy Health System and Dawn Farm. Ann Arbor Mayor Christopher Taylor expressed support for Ackerman on Wednesday, saying that though he just learned of the matter, he believed it to be a private concern and not grounds for removal from council. He later added that he supports all members of Ann Arbor’s recovery community. Jack Eaton, D-4th Ward, too, offered support to Ackerman, also calling the incident a private matter. Though he said he didn’t know details of the arrest or Ackerman’s health condition, Ackerman had told council members he was going to outpatient rehabilitation as a reason for missing some city meetings. Ackerman confirmed missing meetings, noting he needed to be healthy to better serve residents. “I’m back to full time,” he said. The temporary absence from meetings seemed to be the only possible impact on Ackerman’s role on council, Eaton said. Ackerman has, indeed, been attending more meetings recently. Lehigh County authorities say a Slatington man was under the influence of methamphetamine in a December crash that seriously injured several people. Nicholas Strohl, 32, faces numerous charges including aggravated assault by vehicle while under the influence of methamphetamine, possession of drugs and various traffic summaries, according to a news release issued Friday by District Attorney Jim Martin. Strohl is in Northampton County Jail on unrelated charges and will be arraigned on the Lehigh County charges at a later date, authorities say. The three-vehicle crash happened around 4:40 p.m. Dec. 2 near Route 145 and Mauser Road in North Whitehall Township. State police say Strohl’s car, a Honda Accord, was speeding when he hit another vehicle while driving in the wrong lane. After hitting that vehicle, police say Strohl then hit another car. Police say the driver of the first vehicle hit by Strohl, 57-year-old Charles Karanik of Jim Thorpe, suffered multiple fractures and underwent “numerous” surgeries after the crash. A driver and passenger in the second car involved in the crash also suffered minor injuries. Police say the passenger inside that car, identified as Cassidy Pitts, 18, is undergoing physical therapy for neck injuries she received in the crash. Strohl was also injured in the crash, authorities say, but they did not provide further details. A Somerset man was indicted Friday for allegedly driving high and causing the death of a 19-year old Colts Neck teen studying at Rutgers. NEW BRUNSWICK, NJ — Middlesex County Prosecutor Andrew C. Carey announced Friday that a man from Somerset was indicted today for allegedly driving high and causing the death of a 19-year old Colts Neck teen, a sophomore at Rutgers University. David Stewart, 36, of Somerset, was indicted for vehicular homicide in the third degree; he was also indicted for driving with a suspended license. An investigation by New Brunswick police determined that on September 28, 2018, Stewart, who police say was under the influence of marijuana at the time, was driving a 2011 Nissan Sentra west on George Street near Albany and Somerset streets. The Rutgers student lost his footing and stumbled onto the street where he was struck and killed by the vehicle, police said. Cory Aufiero was pronounced dead at the scene from his injuries. Aufiero had just graduated from Colts Neck High School in 2017, where he was on the varsity golf team. He was studying to be a business major at Rutgers. At the scene of the crash, New Brunswick police issued two motor vehicle summonses to Stewart: For driving while under the influence of marijuana and driving with a suspended New Jersey license. Colts Neck was stunned and deeply saddened when news of the local teen’s death spread through the community this past fall. “It’s unbelievable. He was a great kid,” said Bob Gartner, the director of golf instruction at the Colts Neck golf club. Gartner coached Aufiero in golf for years, and for the past three summers, Aufiero worked as a counselor at their golf summer camp. Aufiero competed on the varsity boys’ golf team during his years at Colts Neck, where he was a standout. He was named a top returner for the 2017 season. He loved golf, his family wrote in his obituary, and his favorite golfer was Jordan Spieth. The varsity golf coach at Colts Neck High School, Bryan Parks, said he was devastated by the news. The former director of the US Immigration and Customs Enforcement (ICE) has suggested he would rather use resources to tackle illegal immigrants drink drivingthan jail people for bank fraud. In an interview with Fox News, Tom Homan, who was the director of ICE between January 2017 and June 2018 said: “I mean are you kidding me? 10,000 people per year die from DUIs (Driving under the influence of alcohol). 28 people a day die from DUIs. It was not clear whether he meant he would rather jail illegal immigrants who were caught drink driving over anybody committing “white collar bank fraud”, or whether he was referring to illegal immigrants who were somehow managing to commit “white collar bank fraud” – of which there are likely to be very few. Mr Homan’s comments were met with outrage. Many on Twitter pointed out he was presenting a false dichotomy as arresting people for drink driving and arresting people for bank fraud is not an either/or situation and both are possible. Instead it was suggested the remarks revealed Mr Homan’s prejudices and several people accused him of racism. Others pointed out it was not the job of a law enforcement officer “to determine which laws are not worth enforcing”. Last year Mr Homan defended the Trump administration’s policy of separating parents and children at the US-Mexico border when they had entered the country illegally. “Those who choose to come between the ports of entry are committing a crime,” Mr Homan said, according to Time magazine. (David Zalubowski | The Associated Press) Retired Colorado Rockies first baseman Todd Helton, left, jokes with former teammate and third baseman Vinny Castilla as they watch batting practice during picture day for the Rockies before a baseball game against the Miami Marlins Saturday, June 23, 2018, in Denver. Knoxville, Tenn. • Former All-Star first baseman Todd Helton has received a misdemeanor citation on a charge of driving under the influence after getting involved in a one-car accident. Yeah, the Pac-12 needed this: Oregon is in the Sweet 16, with the same defense that stymied Utah. 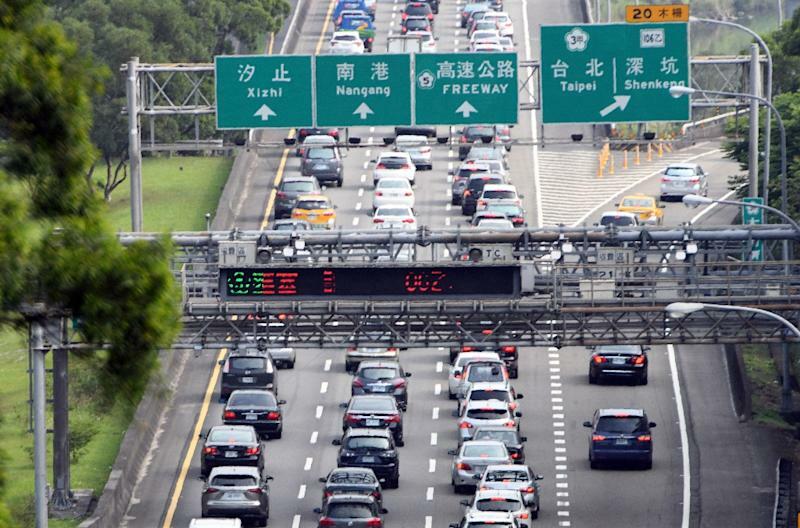 Taiwan plans to ramp up punishments for those who cause a fatal accident while drunk driving, including the death penalty for the most egregious cases, sparking an outcry from abolition and rights groups. The cabinet on Thursday approved a draft amendment to the Criminal Code that would make death by drunk driving an indictable murder offence, potentially punishable by death if the deed is deemed “intentional”, officials said. The proposal needs parliamentary approval but comes after a spate of high profile deaths that have generated widespread outrage. Currently the maximum sentence in Taiwan for causing a death while drunk behind the wheel is 10 years. The new proposal would increase jail sentences for repeat offenders who commit a new offence within five years of their first conviction. They face up to a life sentence for causing a death and 12 years for grave injuries. “Cases of drunk driving leading to death are rampant… drink drivers recklessly caused accidents that took lives and destroyed families to result in irreparable regret,” the Justice Ministry said in a statement. In one notorious case in January, a 40-year-old man crashed his van into a taxi while driving intoxicated, killing three people and injuring three others including himself. Very few countries employ the death penalty for drunk driving cases. China has previously vowed to execute those who have killed behind the wheel and some states in the United States retain capital punishment for such cases. In 2014 a Texas man was indicted on “capital murder” after he ploughed his car into a crowd killing four people. But in the end prosecutors did not seek the death penalty and he was sentenced to life imprisonment. Several rights groups on Thursday, including the Taiwan Association for Human Rights, issued a joint statement criticising the proposed amendment and calling for “rational legislation for irrational drunk driving”. “There is a lack of evidence and research that seeking grave penalties and legislation would truly prevent drunk driving,” the statement said. Taiwan resumed capital punishment in 2010 after a five-year hiatus, despite ongoing calls from local and international rights groups for its abolition. Various surveys over the years have shown support from the public for keeping the death penalty. The Los Angeles County Sheriff’s Department says Madsen was driving a Land Rover, which struck a pole in Malibu, California, around 8 p.m. PDT on Sunday. The 61-year-old, who has been featured in such Quentin Tarantino movies as “Reservoir Dogs” and “Kill Bill,” was not injured. This was not the first time Madsen was arrested for an incident involving alcohol; it happened twice in 2012. In September of that year, he was arrested in Malibu in 2012 for a suspected case of drunken-driving on the Pacific Coast Highway. A test administered at the time put his blood-alcohol level at .21, more than twice the legal limit of .08, according to Steve Whitmore, then a spokesman for the Los Angeles County Sheriff’s Office. 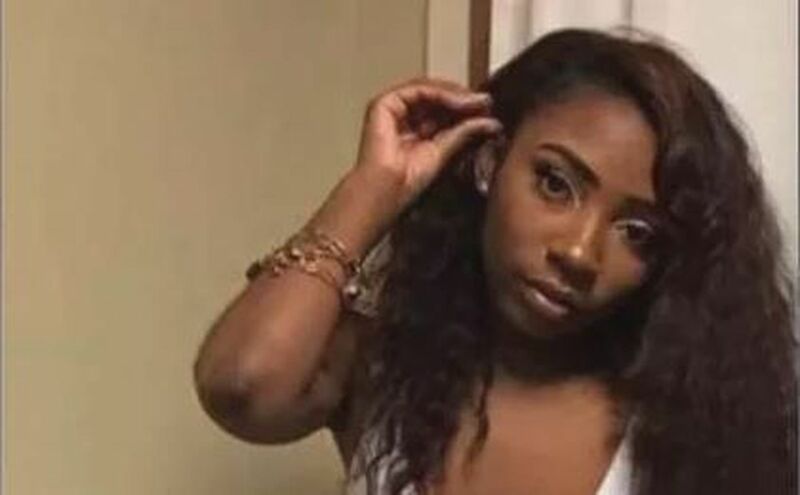 CLEVELAND, OH (WOIO) – The driver convicted of driving under the influence of drugs and fatally hitting a 21-year-old woman riding an electric scooter was sentenced Thursday. McHugh was high on heroin when he hit and killed Jenasia Summers in August 2018. Summers was riding an ICON G electric scooter on East 9th Street near St. Clair Avenue when she was hit by McHugh’s Chevy Cruze. Crash investigators say McHugh was driving in excess of the posted 25 MPH speed limit. He pleaded guilty to aggravated vehicular homicide and OVI. During sentencing, McHugh apologized for his actions, but acknowledged that he knows that isn’t enough to heal the family’s pain. “I deserve every amount of time that I get,” McHugh said. Summers’ 12-year-old niece and mother addressed the courtroom with their emotionally moving victim impact statements.